Good News! 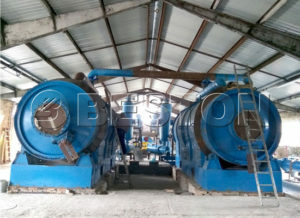 Beston Biomass Charcoal Making Machine is Ready for Uzbekistan! Beston BLJ-6 Plastic to Oil Pyrolysis Plants are Successfully Installed in Hungary! What information that the buyer needs to tell the seller in the inquiry? Will it process tires whole or shredded tires only? How many tons per day can your systems process? Can we see any working plant in or outside of China? : Manufacture base: Beston Industrail Zone, Xiwang RD, Industry Cluster Area, Shangqiu City-476000, China. : Head office: Central China E-business Building, Zhengzhou, Henan Province, China. Beston (Henan) Machinery Co. ltd.